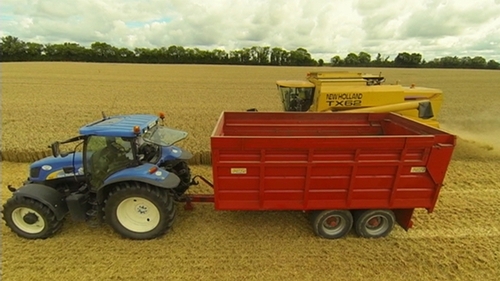 The Health and Safety Authority is to send 200 inspections out to farms nationwide to check on the safety of farm vehicles and machinery - the main cause of fatal accidents on Irish farms. Seven farm deaths have been confirmed so far this year and the HSA is urging farmers to put safety rules in relation to who uses machines and how they are to be used on their farms. The HSA said its campaign will be an intensive and will be carried out over two-weeks starting on Tuesday week next, May 8th. Over the last ten years, 210 people have died in accidents on Irish family farms including 24 last year alone. Half of those fatal farm accidents involved vehicles (30%) and machinery (20%). Farm vehicles are generally defined as tractors or quad bikes. In recent years there has been a sharp increase in the number of fatalities involving quad bikes. There were with 12 quad bike deaths on farms reported over the past 10 years but 4 in last year alone. According to the HSA most accidents with farm vehicles or machinery will involve at least one of the following; poor planning, operator error, lack of training and inadequate maintenance of vehicle or machine. The Authority said that the key message during its campaign will be that preparation is the key to working safely with machinery and vehicles, particularly during busy periods such as the silage season. Are handbrakes or parking brakes working on all tractors and machinery? Are cabs and doors maintained in working order? Are tractor mirrors set and maintained correctly (not cracked or twisted)? Has the driver ever received formal driver training for tractor or quad bike use?